Running Impossible is a free game for Windows 8 and 8.1 in which you have to shoot the running soldiers to avoid them from passing. This can be done by strategically buying and placing cannons on the gameplay map. The game is divided into several rounds. Each successive round starts automatically upon the completion of a previous round. The game is very lightweight and makes for a fun way to while away your time on your device. Running Impossible is available for free from the Windows App Store. 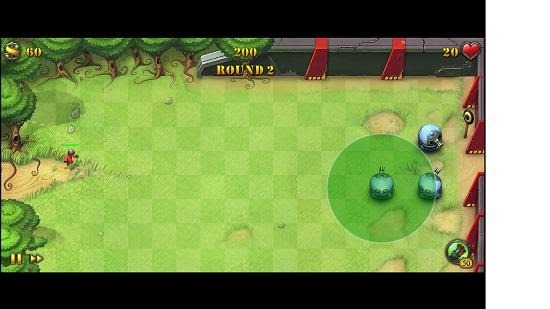 When you run the game on your device, you will be presented with the main interface which is basically a three second countdown till the gameplay screen is presented on your screen. The gameplay screen is displayed in the screenshot below. You can see the cannons/turrets placed in the above screenshot. 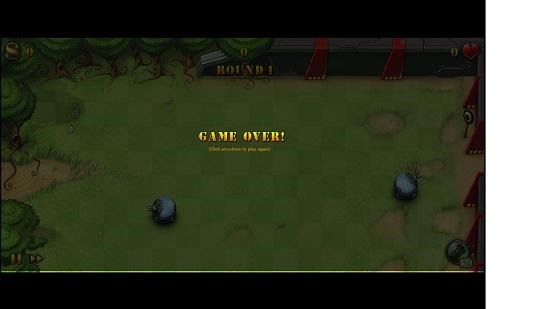 In order to do so, simply click on the button at the bottom right of the screen, and then position your turret with your mouse by moving your mouse cursor to the desired location and then clicking on the ground. The turrets cost money (50 game dollars) so the button may become inactive when you are short on funds. The funds get replenished on each kill of the running soldier. The soldiers will try to run across the screen to cross the gates, and you have to place the turrets appropriately so as to kill them before they cross over to the other side. You can see me positioning a turret in the screenshot below. You have a limited number of lives which can be seen at the top right screen corner. Each soldier which crosses over to the other side costs you a life. When you run out of all lives, it’s game over. Your score meter is visible at the top center of the screen. This is a wrap of the main features of the Running Impossible game for Windows 8 and 8.1. Running Impossible makes for a good download on devices running Windows 8 or above. You can grab the app from the link attached below.